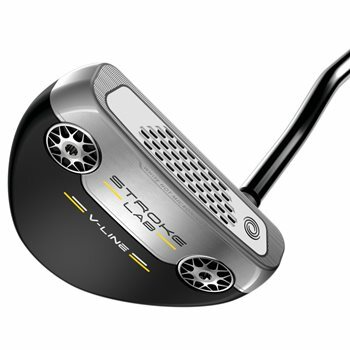 The new Odyssey Stroke Lab putters incorporate a unique new method of weight distribution designed to improve the stroke with the innovative new multi-material shaft design. The Stroke Lab shaft combines a graphite body with a steel tip making it a full 40 grams lighter and netting out at just 75g, with most of the mass concentrated in the tip. The saved weight has been redistributed into each end of the putter to help golfers consistently repeat a smoother and more accurate stroke while the White Hot Microhinge Face promotes topspin for smooth roll and acute distance control.